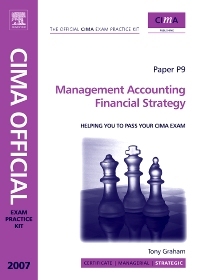 CIMA Exam Practice Kits consolidate learning by providing an extensive bank of practice questions. Each solution provides an in depth analysis of the correct answer and highlights why the alternatives are incorrect. CIMA Exam Practice Kits are ideal for students studying independently or attending a tutored revision course. It supplements the Official CIMA Learning Systems and CIMA Revision Cards with a wealth of additional questions and material focused purely on applying what has been learnt to passing the exam. CIMA Exam Practice Kits help students prepare with confidence for exam day, and to pass first time.